The Suitcase: I love to travel, so this is an important one for me. I’ve probably done this every year since I can remember. This is how it works: at midnight on December 31st take an empty suitcase and run around the block with it. This will bring you good travels and adventure in the New Year. Add some coins or cash to your suitcase, so you that can you also have some prosperity – or stay at 4 star hotels during your travels. If you don’t live on a block, you can just run up and down the street for a minute or even around the house – if you don’t want your neighbors to think you are crazy. The Underwear: Super simple, wear yellow underwear for prosperity in the New Year or red if you are looking for love/passion. The Grapes: Eat 12 grapes at midnight, each grape represents a month in the New Year. 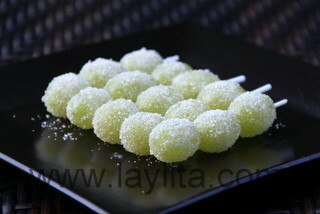 Ask for a wish with each grape that you eat. The Año Viejo effigy: In Ecuador it is a tradition to make a life size effigy or dummy that represents the old year and to burn it at midnight. These dolls are usually made to look like celebrities or politicians, both local and international. The effigy can be someone who died during the year or who made a lot of headlines, it can also be someone people really love or someone they really hate. Did I mention that politicians were very popular Año Viejos? 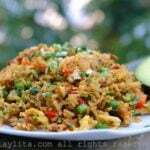 There are neighborhood contests for the best Año Viejo and you can either make your own or buy them already made. The Will or Testament: It is only natural that the Año Viejo or Old Year has to leave a will or testament to his heirs. A testament is a list of events from the old year – can be good, bad, funny – that are somewhat satirical and involves listing items and/or advice that you would leave to your friends/family/famous people so that they can have be better off in the New Year. These wills can be written in the form of a basic letter, a rhyming poem, a song, etc. They are usually very creative and very politically incorrect. There are also contests for people to submit their testaments. The Widow: It is also natural that when the Año Viejo or Old Year passes on, he leaves a Viuda or Widow, who needs financial support. Guys will dress up in black dresses and wear wigs/make-up, then they will go to popular intersections or parks and stop cars/passerby’s asking for money. They are usually very dramatic; they dance, and also cry about how their beloved Año Viejo has died. It is hilarious. In small towns you will usually know most of the guys who are dressed as viudas – which makes it even more entertaining. Oh, and the money they get will be used to buy beer. The Food: Most people will have a nice dinner on New Year’s Eve, a lot of restaurants and hotels have all-inclusive specials that are very popular. The dinner can include turkey, roasted pork or other meat specialties. It is also popular to spend New Year’s Eve at the beach, the party lasts the whole night and you’ll welcome the first sunrise of the New Year with a delicious breakfast of ceviche or an aguado de gallina – a thick chicken soup. The Drinks: Anything goes. Just kidding, well, maybe not, but beer and bubbly are definitely always popular. In the highlands, where it is colder, people tend to go for drinks that warm them up. 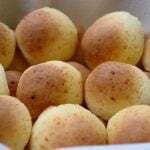 Some of these include canelazo – a hot cinnamon drink with aguardiente or sugar cane alcohol, or naranjillazo – which is a variation of canelazo that is made with a fruit called naranjilla. In the coast or beach, there is preference for cold mixed drinks, ranging from the most popular international drinks to cocktails made with local fruits. Overall, you are guaranteed to not be thirsty during New Year’s Eve in Latin America. For New Year’s Eve, which as you can tell is one of my favorite holidays; I wanted to make a mixed drink that incorporates elements of the Latin New Year’s Eve celebrations. So, it had to include fresh grapes and it had to include a Latin American alcohol. 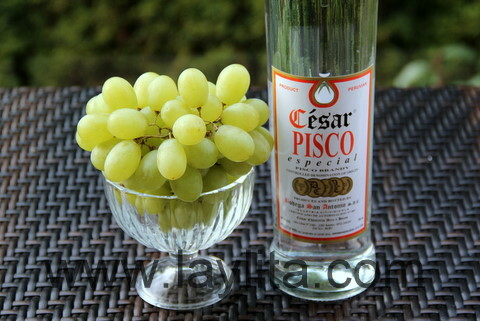 I chose Pisco, which is a type of brandy made in Peru and Chile. Pisco Sour is the most well know drink that is made using these liquor, it is a strong cocktail made with Pisco, lime juice, sugar, egg white and bitters. 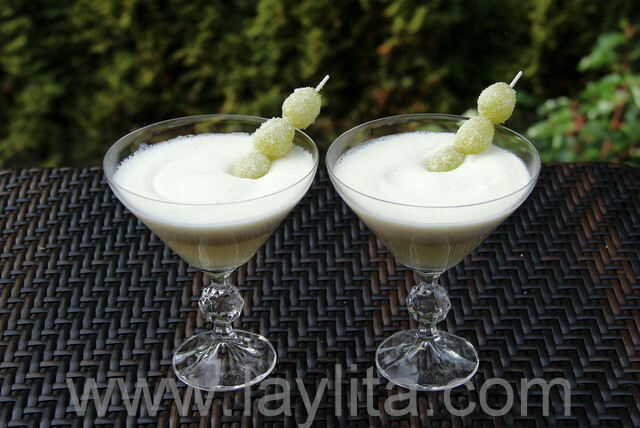 My grape pisco sour variation is very close and uses freshly made grape juice. In my recipe I also didn’t use the bitters, as I wanted to keep the grape flavors very clean. 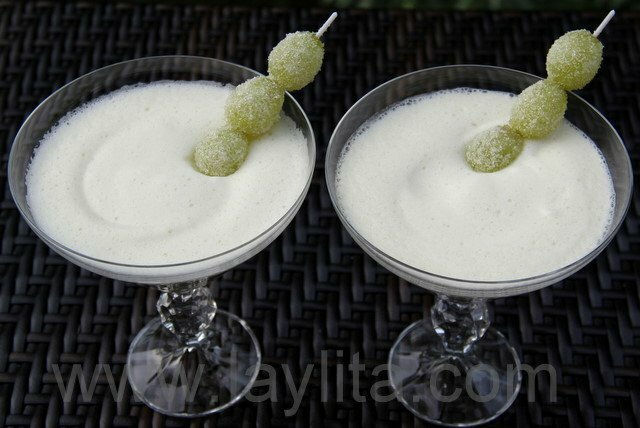 This drink is very strong, like a good cocktail should be, and is perfect for celebrating the New Year regardless of where you are. I can’t guarantee that it will bring good luck, but it has grapes, so who knows? Feliz Año Nuevo or Happy New Years! Grape Pisco Sour cocktail made with pisco, fresh grape juice, lime juice, sugar, egg white and ice. 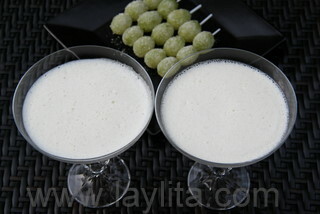 To make the grape juice, combine the grapes in the blender and mix until you have a smooth puree. Strain the mix and keep refrigerated until ready to use. 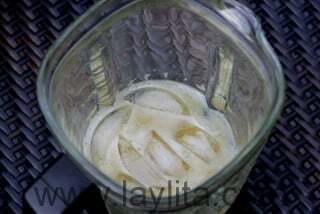 Combine the pisco, grape juice, lime juice, sugar, egg white and ice in a blender. 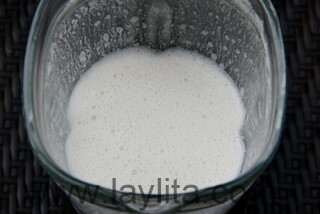 Blend until the drink is foamy. this is useful for my spanish project ty. Nunca he visto las viudas en los vestidos negros y llorando en las calles. En Quito y Ambato por lo menos ya se ponen mini faldas y bastante maquillaje. Y por supuesto ya no lloran–bailan mostrando las piernas para pedir la platita! El fin de año es tan divertido por todas las tradiciones que mencionó arriba. Gracias Laylita! Hola desde España, me gusta mucho tu blog, estoy aprendiendo cosas nuevas. Les invito a que conozcan el mío. Gracias por tomarse tiempo para poner las recetas que siempre son deliciosas pero sobre todo para explicar las tradiciones de los paises de Latin America especialmente Ecuador. Siempre me gusta enviarles a mis amigos y mi familia el link de su blog. Feliz año nuevo! desde Islas Caiman.